As the United States sees an increase in its aging population, it will also see a dramatic shift in its workforce. Generation Y or “Millennials” as they are often called outnumber baby boomers by more than 11 million, consisting of 25 percent (75 million) of the U.S. population, 44 percent of which are minority (the most diverse generation), 40 percent are working age and 30 percent are of voting age. 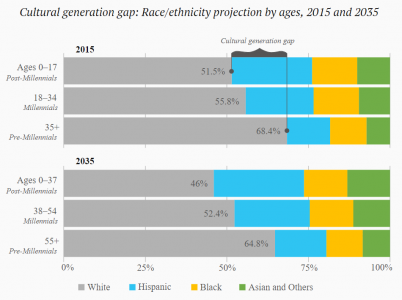 According to the Census Bureau, Asians Hispanics and multicultural groups will be in the majority by 2044. Given the statistics, it is in the best interest of employers in any field to hire, train and retain employees that are representative of the population. McKinsey & Co., a global management consulting firm found that gender and ethnically diverse companies are 15 percent and 35 percent more likely to outperform companies that aren’t. McKinsey also found diversity matters among senior management with 53 percent higher returns on equity among companies in the top-quartile compared to those in the bottom quartile. A 2016 analysis of over 20,000 companies in 91 countries, found that organizations with more female executive are more profitable. Further research has found that companies with higher racial and gender diversity bring in more sales revenue, more customers and higher profits. But despite all this research, the proportion of black men in management increased from 3 percent (1985) to 3.3 percent (2014), among all U.S. companies with 100 or more employees. A higher increase occurred among white women from 22 percent (1985) to 29 percent (2000), but there has been no change since. If these trends continue and organizations are unable to hire, train and retrain employees that are representative of the populations and those they serve, companies will struggle to fill jobs and be successful. Given the criticisms of government — its lack of innovation and millennials leaving because of that — public administration should see this as a window of opportunity, to open its doors to new perspectives that will improve the field and better serve the public.